AFIL in association with AAIL organises yearly a Networking Event for the African participants of The Hague Academy of International Law. The event always takes place at The Hague Academy of International Law. By doing so, AFIL takes the presence of African participants in The Hague Academy of International Law during the Summer Course as an opportunity to create a forum for exchange between African participants of the course and the senior African international legal practitioners based in The Hague. One of the driving elements of the networking event is to maintain contact with the former participants and involve them in the projects of AFIL and provide substantive coaching for their research works (Ph.D., research projects), support in the search of opportunities (internship, job, reference/recommendation for applications, attendance of seminars/conferences, etc.) or also assistance in networking. The African Foundation for International Law (AFIL) and the African Association of International Law (AAIL) launched the Distinguished Speaker Series on the 8th of December 2014. The inaugural lecture was given by Judge Fatsah Ouguergouz in The Hague on the 8th of December 2014. AFIL will organise each year one or two Distinguished Speaker Series lecture in The Hague. Signing of Seat Agreement 12-03-13 – Ambassador Sani L. Mohammed, Acting Rector of the AIIL and Hon. Bernard K. Membe, Tanzania Minister for Foreign Affairs and International Co-operation. One of the goals of the African Foundation For International Law (AFIL) is to promote study, research and analysis on international legal matters of particular interest and relevance to African countries and to foster the teaching and dissemination of international law in Africa. 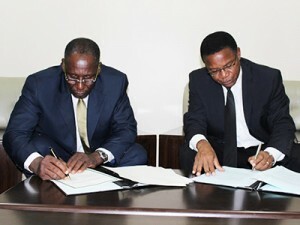 In this light AFIL initiated the creation of the African Institute of International Law (AIIL). Through the support of the Government of the United Republic of Tanzania, the decision to endorse the establishment of the Institute was made by the Assembly of the African Union at its Eighteenth Ordinary Session (January 29-30, 2012) in Addis Ababa. A year later in its Resolution 67/91 of January 14, 2013, the General Assembly of the UN took note of the establishment of the AIIL and encouraged the Codification Division of the Office of Legal Affairs to cooperate with the Institute in the implementation of the relevant activities under the Programme of Assistance. The African Foundation For International Law (AFIL) seeks to encourage and promote intellectual debate and exchanges on international legal issues of particular interest to Africa. To this end, it seeks to foment the establishment of networks among African international lawyers as well as between the latter and scholars of other continents. AFIL has as one of its projects the revitalisation and continuous support of the activities of the African Association of International Law (AAIL). 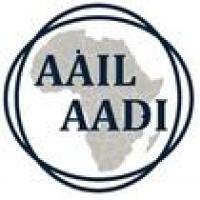 AAIL is one of the first academic societies on the continent of Africa in the field of international law, was established in 1986 by the leading international lawyers on the continent. 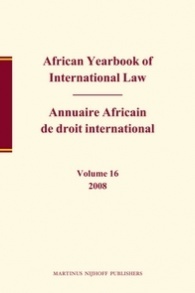 The African Yearbook of International Law (AYIL) was founded in 1993 and it is published under the auspices of the African Foundation For International Law. AYIL is the only scholarly publication devoted exclusively to the theory and practice of international law as seen from an African perspective. It provides an intellectual forum for the systematic analysis and scientific dissection of issues in international law as they apply to Africa, as well as Africa’s contribution to the progressive development of international law. It contributes to the promotion, acceptance of, and respect for the rule of law in intra-African relations, and for the principles of international law in general. It also encourages the teaching, study, dissemination and wider appreciation of international law in Africa. The high-quality articles published in the Yearbook provide a clear articulation of Africa’s views on various aspects of international law based on the present realities of the continent as well as on Africa’s civilization, culture, philosophy, and history.